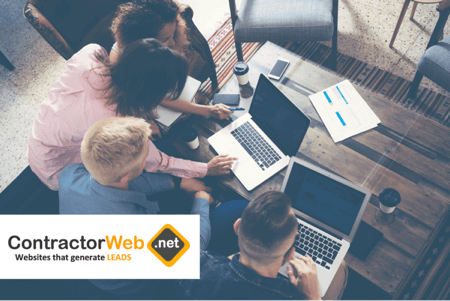 ContractorWeb is a contractor marketing company that specializes in helping construction and contractor businesses succeed online. From professional website design to search engine optimization to pay per click to social media – our team can help generate leads and grow your business online. We work with contractors of all shapes and sizes. Whether you’re just looking for a website for an online presence, or if you’re looking to up your game with a full-service online marketing offer, we can help. From small handyman service companies to medium-sized HVAC contractors to large commercial construction companies, we work with a wide variety of customers. We are headquartered in Michigan but serve customers throughout the USA and Canada. We will generate leads and grow your business! ContractorWeb is a small business with little overhead which translates into affordable construction marketing for you. Because we work solely with contractors, our business model allows us to tailor our offering and pricing to small businesses. Some contractors and small businesses feel it’s best to look up a local web designer. What they typically find is a marketing firm located downtown with a fancy office and an army for a sales force. And most of these firms also work with fortune 500 companies and consider contractors to be small potatoes. The result? Over-priced marketing services, poor support and not a good fit for a small to medium sized construction firm. 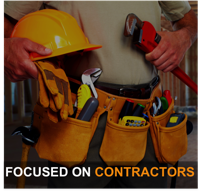 At ContractorWeb, we are able to offer premium contractor marketing services at an affordable rate. 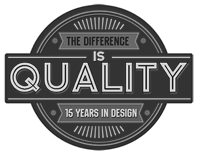 All of our professional web designers are based right here in the USA. We do not outsource our services overseas like many web development companies. The owner, John Rzeszutek, is very active in the business, works hands-on, manages customer relations, and also partakes in design & SEO work. If you call our business, mot of the time we answer right away. You might have to leave an occasional voicemail, but you can expect a call back within an hour or less. You’ll never be transferred, placed on hold or have to press 1 for English. You can even text us at our main line and receive a response within minutes. Need to chat in the evening, on a Saturday afternoon, or a Sunday morning? No problem – we understand that many owners also work in the field all day. We will work around your schedule. That is the ContractorWeb difference!